DAM, digital asset management, is one of the hottest marketing technologies on the minds of marketers these days. Should you have a DAM? Do you have the right DAM? 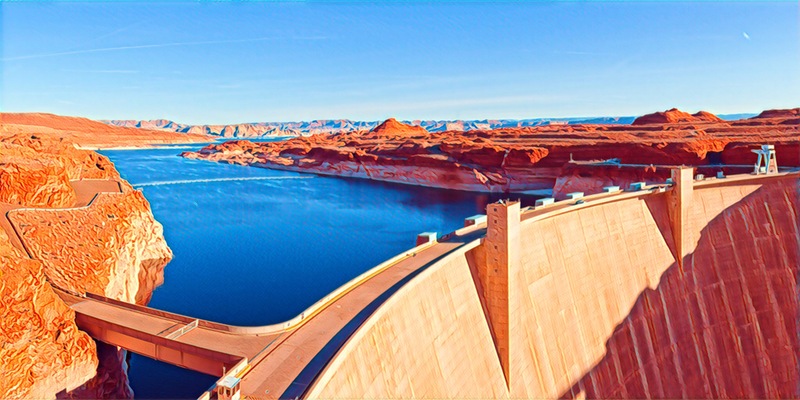 Is an integrated DAM better than a stand-alone DAM? Is vendor X better than vendor Y? There’s a lot of DAM questions. There’s a lot of DAM content – Modern marketing organizations create a LOT of content. Fueling an ongoing content marketing program, providing a robust library of sales support materials, supporting channel partners and a host of other initiatives push marketers to generate an enormous volume of content assets. DAM solutions provide a place to manage that trove of content. DAM big groups of people involved – Content creation typically includes an extensive network of contributors; in-house designers, agencies, writers and other marketing staff are engaged on an ongoing basis to develop all that content. These groups also tend to be fluid, external freelancers and agencies cycle in and out and internal staff assignments are frequently swapped or rotated. DAM solutions can provide a single clear location for assets, so everyone knows the authoritative source for content. Teams are using their own DAM solutions – There’s enormous technology fragmentation at the team level. Many teams use the “credit card IT” approach using a constellation of tools they can expense on corporate cards that live outside the management of formal IT. When everyone is using their own tools and tech, content gets spread out and becomes impossible to track or manage holistically. DAM solutions can bring everyone together. The DAM content is impossible to find – Even if everyone agrees to use of a shared location for content assets, content is often dumped without much thought to an explicit organizational construct, tagging or structure. The content may all be in one place, but its next to impossible reliably find anything. DAM solutions can provide sophisticated tagging and taxonomies so content is efficiently organized and assets can be easily located. The DAM content gets duplicated – Recently a client shared a story about the same piece of sales collateral being created five times by different groups within the company because nobody was aware the other groups had already produced the piece. Without a good DAM solution, content creators run the risk of duplicating work, building things from scratch instead of leveraging existing assets as a jump start. DAM solutions provide a foundational first step to assure new content creation efforts get the most from existing resources. You need to distribute the DAM stuff – Ultimately content needs to make its way out into the world. In many marketing organizations, the transition from stored content to live content is extremely manual. DAM solutions can make it easier to mobilize assets into advertising, social, email or other programs. The DAM content doesn’t last forever – Content has a discrete shelf life, and yet many organizations don’t have any meaningful content hygiene practices. Their asset libraries are full of ancient documents for products that have long since been discontinued. DAM solutions can automate content review, so you’re not depending on someone completing the “review old content on share drive” task when they have time. The results of not having a solid corporate DAM solution can be fatal for many businesses, as they loose in the competition. First their cost on working with digital content will be way to high without gaining any competitive advantages. Second they miss the opportunity to grow their revenue by using great and valuable (personalized) content on all of their potential channels. In other words a solid enterprise DAM solution helps businesses to realize their full digital potential. Thats our passion at Digizuite.